It is never too early to start reading—we can begin the day the baby is born. Books should have bright, colorful pictures and not too much print on one page. Get sturdy books that babies can chew, handle, touch, and even throw. Children need to see the adults around them enjoying reading. Children do what their role models do. If you are glued to your phone, your child will want the phone. If he sees you enjoying reading books, he will be excited about reading as well. Digital books are distracting—most experts highly recommend paper or print books for babies, toddlers, and preschoolers. Keep your young child away from screens as much as possible! Make reading exciting and fun by using silly, dramatic voices. Be expressive! This is especially important for young children with limited attention spans. Read books your child is especially interested in. 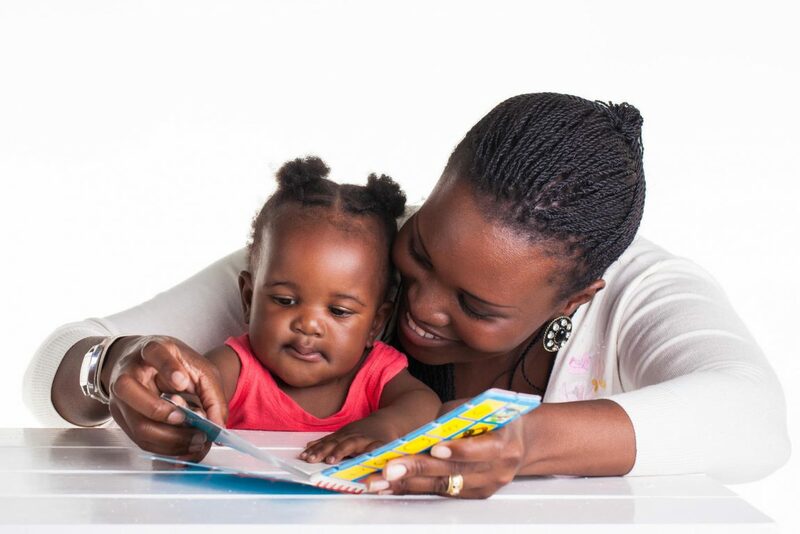 Check out this website below for ideas for reading with children who are 0-3 years old! Make reading a priority. 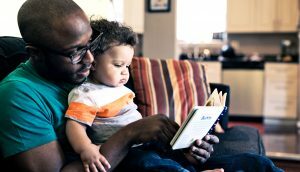 Bedtime stories are especially good because they help children wind down and relax. Make it a special time of snuggling before they go to sleep. Sometimes children will want the same book over and over. That’s fine. Don’t be afraid to read the same book repeatedly. 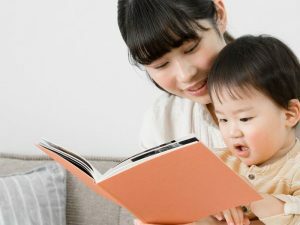 When children hear the same book read over and over, they capture the story line and are able to focus on more sophisticated details such as meanings of vocabulary words each time the story is re-read. When reading, help your child figure out new vocabulary. Encourage your child to look at illustrations and pictures to figure out new words, but do supply the meaning if she starts getting frustrated. Take your child to the local library. Our local library had a sign-up sheet where you could register to read for a half hour with Delilah the dog. 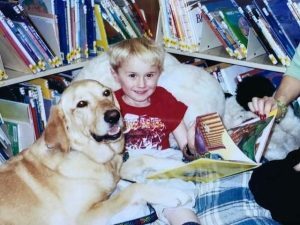 Mark just loved reading with this therapy dog, and it was very helpful in the early years when he was struggling with dyslexia. I can see him like it was yesterday, snuggled up with the dog in the children’s reading corner. If this is at all available in your neighborhood, I can think of no more positive way than to introduce joy into the reading process. Check your local public library to see what free resources are available. You might be surprised by how much libraries have to offer. A great way to help your child learn to love reading is to provide books that are funny. Children love to laugh! I’ve mentioned that when Mark was little, he loved Dav Pilkey’s books like the Captain Underpants and the Dumb Bunny series. Even when he struggled with reading due to his dyslexia, I would read the books out loud and use funny voices. This helped him associate positive emotion with reading, even when it was so hard for him. The website below has more tips and tricks for making reading engaging. I’ll never forget the words of Owen, a child with special needs that I served as a speech-language pathologist in the schools. He told me that reading was so hard that he didn’t want to do it anymore. “But my mom bought me some funny books, and it made me want to read again.” Bingo! I bought Owen a Captain Underpants book for him at the school book fair, and he was just thrilled. Humor works! In summary, we should read with our children as much as possible. Use funny books and add humor. Make reading a fun, positive experience. This will build those early pre-literacy skills, giving your child the edge for years to come.